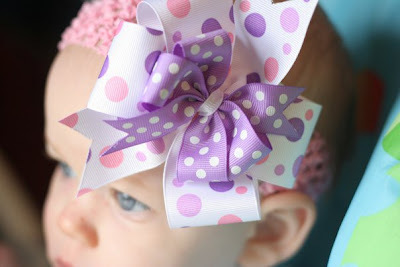 Baby shower idea, infant headbands and more! These are new! Butterflies come in your choice of purple, blue, green, yellow and pink. Attached to an alligator clip, these can be used to pull hair back away from your little girls face or attached to a crochet headband. These are $4 each or 2/$7. These handmade flowers are an adorable way to finish an outfit! These can be made with your choice of colors and buttons. Clarify when ordering what color you would like on the top and bottom. These adorable bows are $3.50 each. 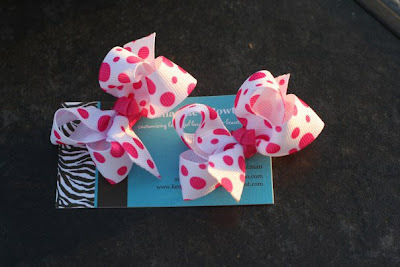 These are made with 1 1/2 inch grosgrain ribbon and can come in just about any solid color. Here are a few more of our bigger bows. These are also customizable. 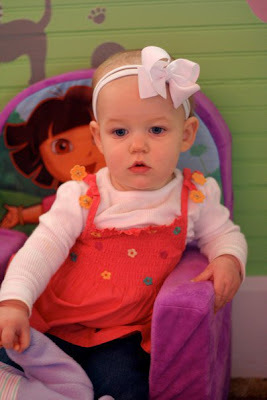 They look great with a crochet headband on babies and big girls! 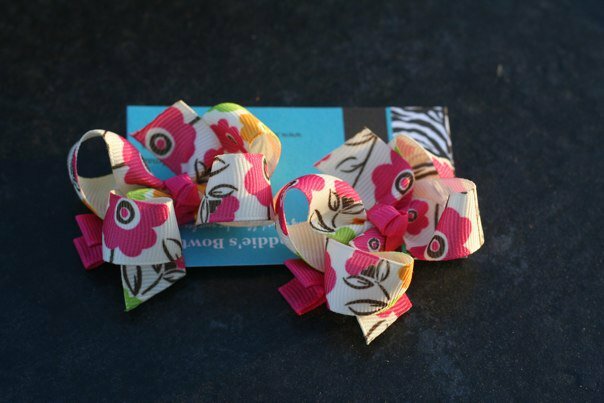 Here are some of our spring/summer pigtail bows. These are $4/pair and come in virtually any solid color, as well as the ones you see below. If there is something specific (ladybugs, flowers, etc), we can probably find it. 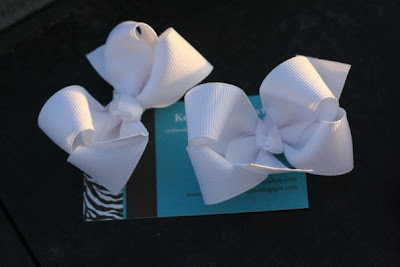 Kenaddie's Bowtique is excited that we are now offering an adorable way to organize your little one's bow collection! These bow holders, many of which are fully customizable, hang on the wall with 18 inches of ribbon on which to clip your hair bows! Only $5.00 each!! This is a distance photo shot of Holder #13. If there are any of these that you like, but would rather have a different color, let us know!! Crochet headbands are available for order. If they aren't in stock, it will take 7-10 days to receive your order. Check out our entire selection! Make sure to check out our entire selection by viewing the "Older Posts" at the bottom on the page. 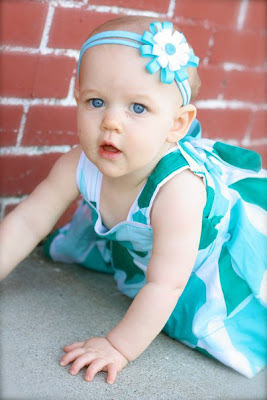 If you don't see what you're looking for, email us and we'll see if we have what you want or if we can custom make it! 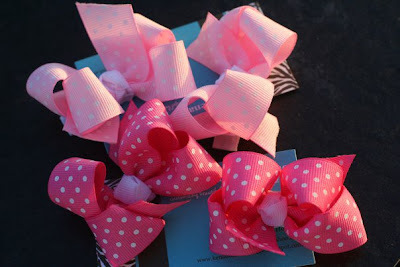 Customizing beautiful bows for your beautiful belles!